In contrast to what you may be thinking, keeping your home warm during the fall season doesn’t have to mean using a lot of electricity. If you are looking to keep the temperature in your home perfectly controlled and regulated, there is no denying the benefits which a ducted heating system can provide. These systems include a vent in every room pushing out warm air. Of course, there is also no denying just how much electricity these systems can use. If installing one of these systems just isn’t in your budget or you are just looking for ways to minimize your electricity costs this fall, Buffalo Builders, Inc has some tips which can help. If you can’t remember when your insulation was either installed or replaced, or you are pretty sure that it’s coming to the end of its lifespan, replacing it can be a great way to heat your home. While the outlying costs can be greater than you would spend on an electricity bill using a range of products, the benefits of insulation can last for years. This doesn't just apply in the cold weather, insulation can also help to keep your home cool when it starts to warm up. 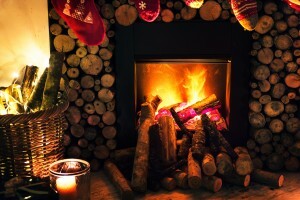 If you are one of the lucky homeowners to have a working fireplace, this is one of the best ways to heat your home without using any electricity at all. When deciding to use this option, it’s important to always use it safely. The first step is to have it cleaned and serviced by a local professional, or take on the task yourself. If you choose the former, consider that the longer you wait, the more expensive their services will be and the more difficult it will become to get an appointment. Once it is in good working order, always ensure that you use a fireplace guard to prevent any debris from falling in along with any embers coming out and potentially causing a fire inside your home. Of course, also be sure that your fireplace is free from decorations and furnishings which can easily catch alight. If your home is in need of water damage restoration or mold removal, Buffalo Builders, Inc are the ones to call. Call today at 866 801 8100 to learn more about how their expertise and professional grade equipment can see your home returned to its former state safely, quickly, and thoroughly. Let’s start with this point - turning on your oven and opening the door is not only a bad idea health-wise, but it’s also an expensive one. This is not advisable. However, if you are using your cooking items and your kitchen connects with one of your living spaces, take advantage of the heat which is being generated to help take the chill off the air in your other room. Even using a small fan to move the warm air from your kitchen to your living space can be a great way to reduce the chill of the room enough to make it comfortable. If your home is placed in a way which sees sunlight during the day, even a small amount, don’t be afraid to open your shutters or curtains and let it in. Of course, once you notice the sun is setting and the temperature is starting to drop, be sure to close both your shutters and curtains to help keep this warmth inside your home for as long as possible. If you own a small space heater, then taking advantage of its benefits can work if you utilize it correctly. For example, putting it in the middle of your home or in one room then leaving the room and your home open isn’t going to see much benefit from the heater. However, placing it in a single room in which the doors can be closed can work wonders on keeping your family warm during the cold weather. As an example, instead of everybody staying in their rooms to use their phones, do their homework, or even watch television, gather everybody together in one large room, close the doors and curtains, and use the heater. This can be a great way to keep everybody warm without using too much electricity. When utilizing these appliances, remember that you should never leave them switched on and unattended, and always be sure they are not too close to any furniture items which could become scorched or set alight. If your home is in need of water damage restoration or even mold removal, Buffalo Builders, Inc can help. Call today at 866 801 8100 to learn more about the experience and techniques they can rely on to bring your home back to its former glory quickly, safely, and thoroughly.